Australian explorers Metroof Minerals and Sojitz Coal have been named as the preferred tenders to unlock the next coal reserves in the Bowen Basin in Queensland. The companies have exploration rights to about 13,100 hectares between Middlemount and Blackwater. Metroof Minerals has been awarded an exploration authority for 86 square kilometres, 60km south-east of Middlemount, while Sojitz has secured an exploration authority to explore 45 square kilometres, 25km south-east of Middlemount. Ken Broadfoot, Metroof director, said the new tender complemented the group’s existing authorities on the eastern edge of the Bowen Basin. Both companies must negotiate land access agreements and satisfy any existing environmental and Native Title requirements before the exploration authority is granted. 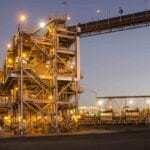 Cameron Vorias, Sojitz managing director, said the exploration authority would further complement the company’s Queensland metallurgical coal interests. 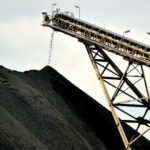 “This gives opportunity for Sojitz Coal to further grow its portfolio focusing predominately on metallurgical coal and the development of the next generation of close to surface coking coal deposits in Central Queensland,” Vorias said. “This exploration authority will also broaden our local footprint which includes our management and operating interests in the new Meteor Downs South mine as well as our existing Minerva mine. Queensland Mines Minister Anthony Lynham said awarding the tenders was another positive result from the state’s first annual exploration program, giving the resources sector its first forward plan for government exploration tenders. 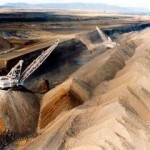 “Potentially, these tenders could be our next generation of coal development in an area with a history of successful coal development for export and electricity generation,” he said.